The Lower Falls is the tallest waterfall in the park at 308 feet. It mattered little how tall the observers thought the falls was. They consistently write journal entries that comment on its awe-inspiring nature. 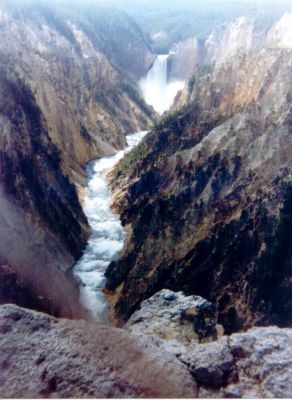 A member of the 1870 Washburn party N. P. Langford gave this brief but poetic description: "A grander scene than the lower cataract of the Yellowstone was never witnessed by mortal eyes."